One of the most limited utilities included with Windows is, without a doubt, its calculator. Due to the latter, students and teachers that usually work with their PCs need alternatives with which to carry out more complex tasks. 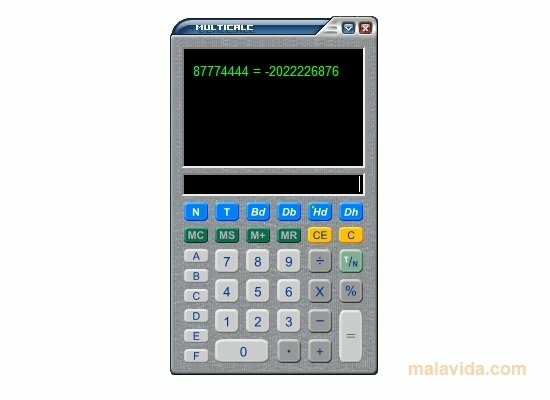 Multicalc is a virtual calculator, developed mainly for the calculation of times, which has a very simple interface, similar to that of other tools of the same genre, with the only particularity that it has a window in which we will be able to see each of the steps of the operation that we are calculating. - Carrying out calculations with memory. - Converting decimal numbers into hexadecimal or binary, and vice-versa. - Add and subtract times. 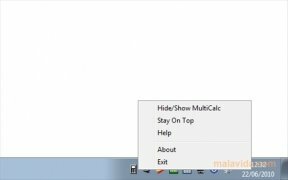 If you were looking for a versatile and free calculator, that will offer you some more possibilities than those offered by the one that is included in the operating system, try out Multicalc.